It is important to maintain a sound braking system for nothing is more fundamental to your car or truck's safety. Brakes have one job to do: to stop your vehicle. Just because they're stopping your vehicle, however, doesn't mean they're working their best. In order to stop your car or truck safely, brakes are designed to slowly wear as you use them. Keep an eye out (and an ear) for warning signs of faulty brakes. If you notice any of these symptoms or if you have any other concerns, come and see us immediately. We recommend that you have your brakes inspected once a year in order to assure proper performance. 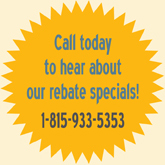 We sell and install ONLY name brand, quality brake parts! 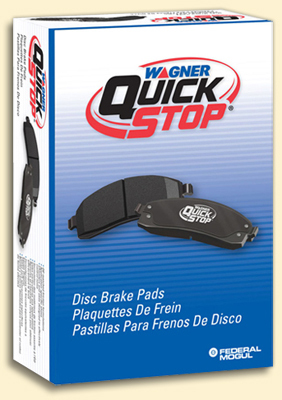 We feature Wagner® Brake Products. "From the World Leader in Friction" - Wagner offers product lines that feature quick, convenient, precise installation for passenger vehicles and medium-duty commercial applications. 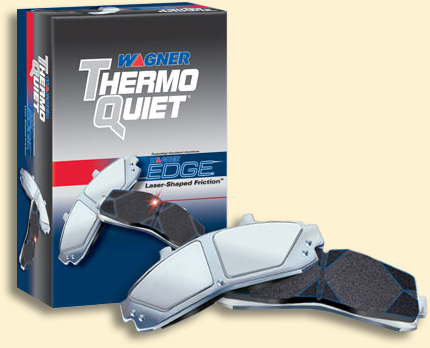 Wagner® ThermoQuiet® is the most innovative and technologically advanced brake pad available in the industry. ThermoQuiet® combines the one-piece brake pad design with Laser-Shaped Friction™ technology. The result is quiet performance, superior stopping power and enhanced durability.